At the end of last month, we reported that Dead Trigger publisher Madfinger Games was working on a special reward for those who had purchased the smash-hit shooter before it became free-to-play in the face of rampant piracy. As spotted by Pocket Gamer, the Android version of the game has now been updated to 1.5.0 and provides a new alien gun free of charge, ten casino chips and a handful of the game's gold currency for those who purchased the game at launch. 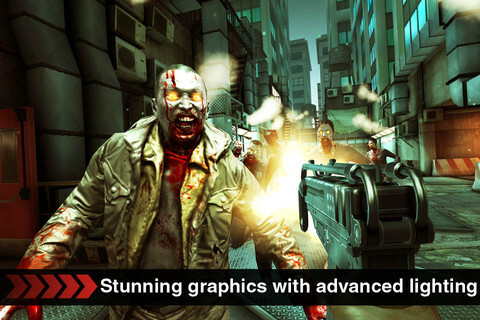 The 1.5.0 version of Dead Trigger also provides all players with two brand new arenas titled Deadly Corridors and Stadium of Dead, the aforementioned alien gun (at a cost to freemium gamers), a new tutorial and some extra story missions. You can also now take a laser turret and mini-mortar into battle with you.